The Ambient Umbrella ($125). See? 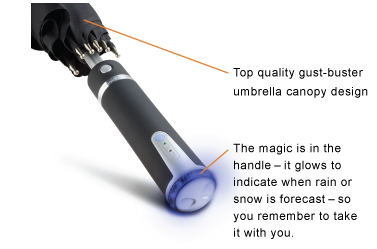 It's an umbrella that tells you whether you need it! I know what you're thinking: I have a computer that tells me if I need an umbrella, and also plays videos of dogs who are college students - does your umbrella do that? To which I would respond yeah, but is it an umbrella? That's the spirit of these gifts. 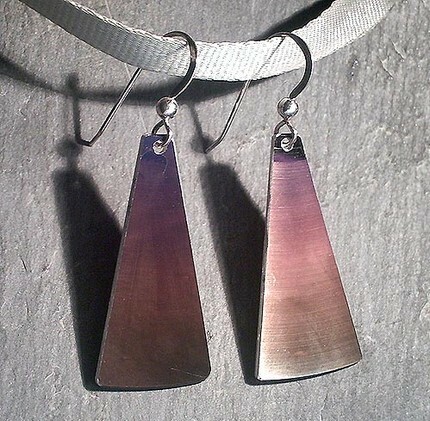 Hard drive earrings ($12). 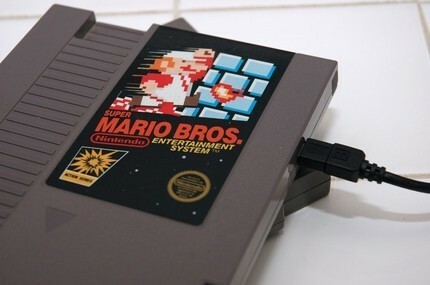 Clever, subtle repurposing. TheBlueKracken has some other less subtle, equally clever repurposing. Custom 640 GB hard drive ($149.99). Yes, it's a high price/storage ratio. That's not the point. 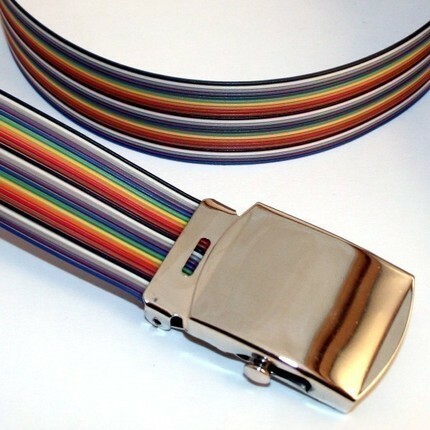 Rainbow ribbon cable belt ($14.00). Digibling is awesome. I like their resistor necklaces and earrings. 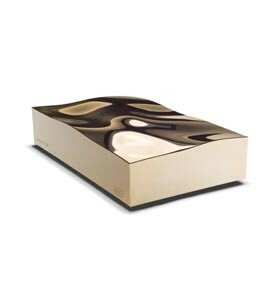 LaCie 1TB Golden Disk ($129.99). Maybe too Las Vegas for you; I think they're awesome. 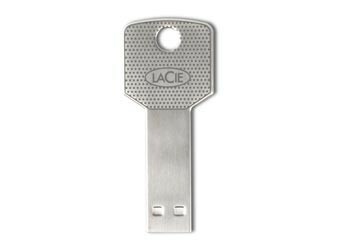 LaCie iamaKey USB drive ($21.99 and up). I'm not the first person to point out how cool these are. Still. 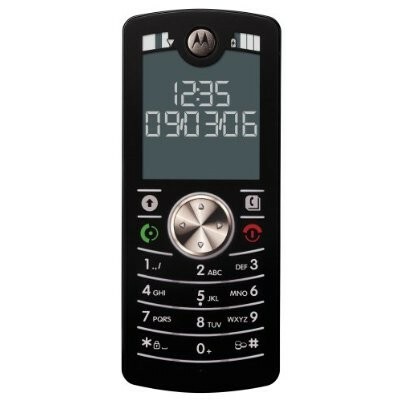 Motorola Motofone F3 ($25.99). The anti-smartphone. Makes phone calls. Is tiny. I like the e-ink display. 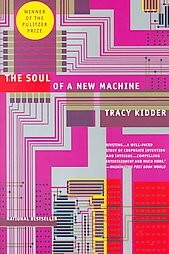 The Soul of a New Machine by Tracy Kidder ($10.19). Yes, it's a book - one of the classics of literary journalism, about your geek forefathers. More here.